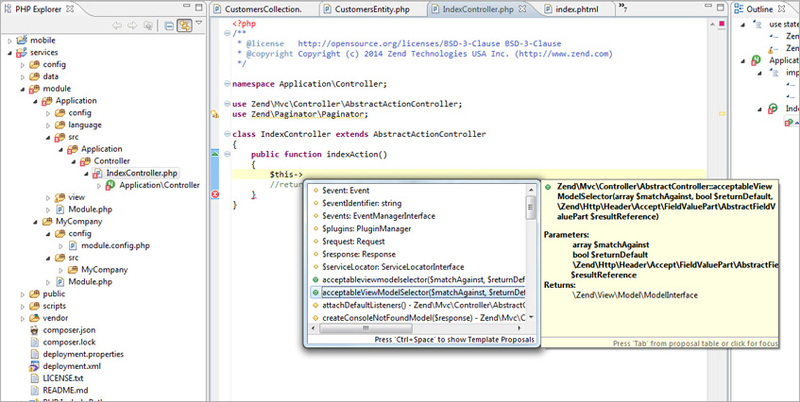 The next-generation PHP IDE designed to create robust PHP apps while boosting developers’ productivity. It is the only PHP IDE that combines mobile development with PHP and includes a sample mobile application with source code. The advanced code editor makes you more productive with intuitive code assist, code completion, refactoring, real-time validation and analysis. 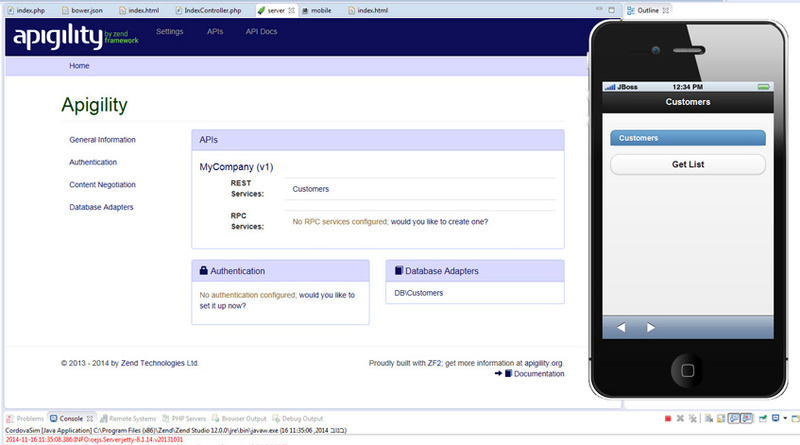 Integration with Apigility makes building, documenting, testing and managing your APIs fast and easy. 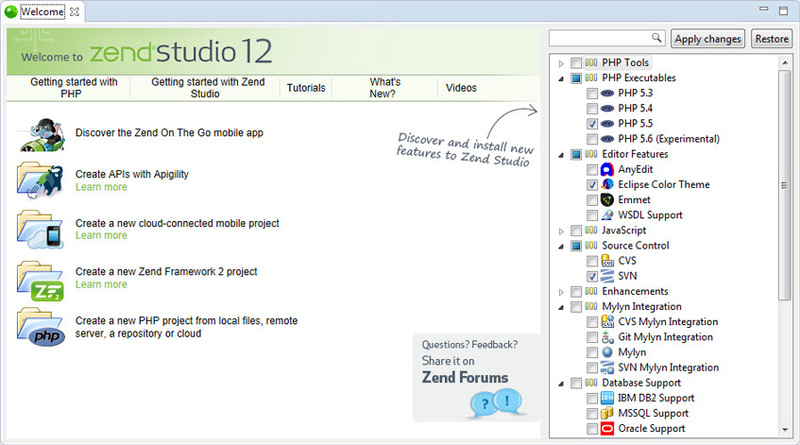 Zend Studio includes a fully working mobile app with source code. Use the code to learn how to create mobile apps or leverage it for your apps. Easily deploy your PHP application onto public or private cloud by using the built-in cloud deployment integration features. 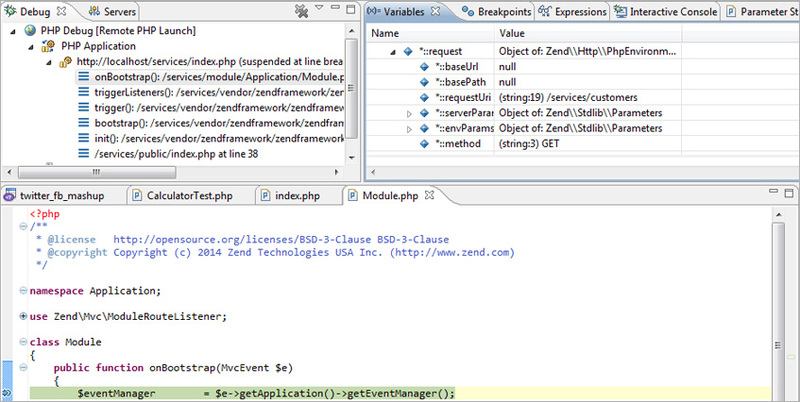 By adding the following code below to your website you will be able to add an install button for Zend Studio - The PHP IDE.